Police and Firefighters are often the first responders to traffic accidents and witness the tragic consequences of dangerous driving on our roads. 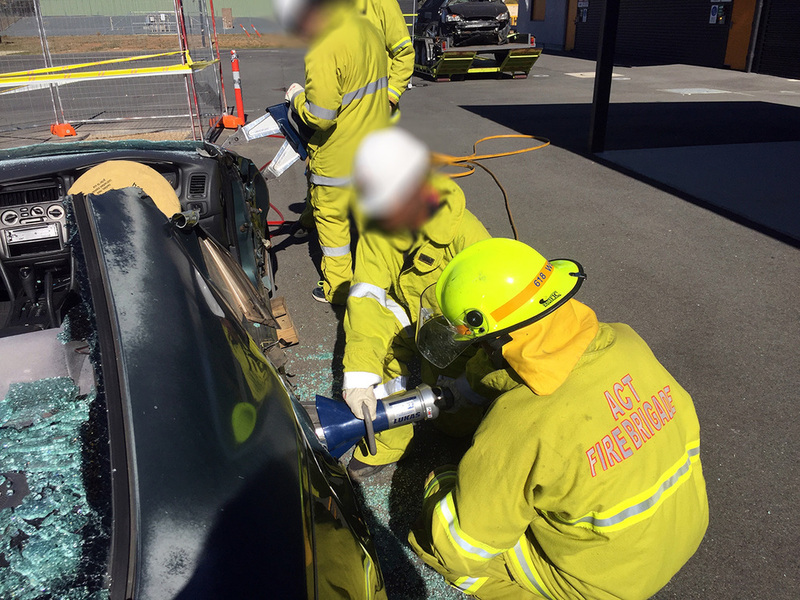 This month, one of our programs visited ACT Fire & Rescue to take part in their Road Safety Awareness program. This program educates young people on the real consequences and impact of car accidents. We were given an insight into the experience of firefighters, and saw the damage to a real car that had been in an accident. We then put on a firefighter’s uniform and helped to safely rescue a trapped passenger in a mock car accident scenario. Everyone learned a lot about the importance of road safety and the seriousness of car accidents, while being in a safe and fun environment. Thanks very much to ACT Fire & Rescue for having us as a part of your Road Safety Awareness program!